Window is the main component of the home for lighting, ventilation and fresh air circulation in the home. Dirty windows spoil the beauty of a home, hence it is necessary to clean the windows daily or at least two times weekly. The dirty windows also obstruct the sunshine to enter our houses. So when you do house cleaning don’t forget window cleaning. Window cleaning is also as important same as house cleaning which includes the cleaning of the window pane, cleaning of window frame & cleaning of the window sill, jambs etc. 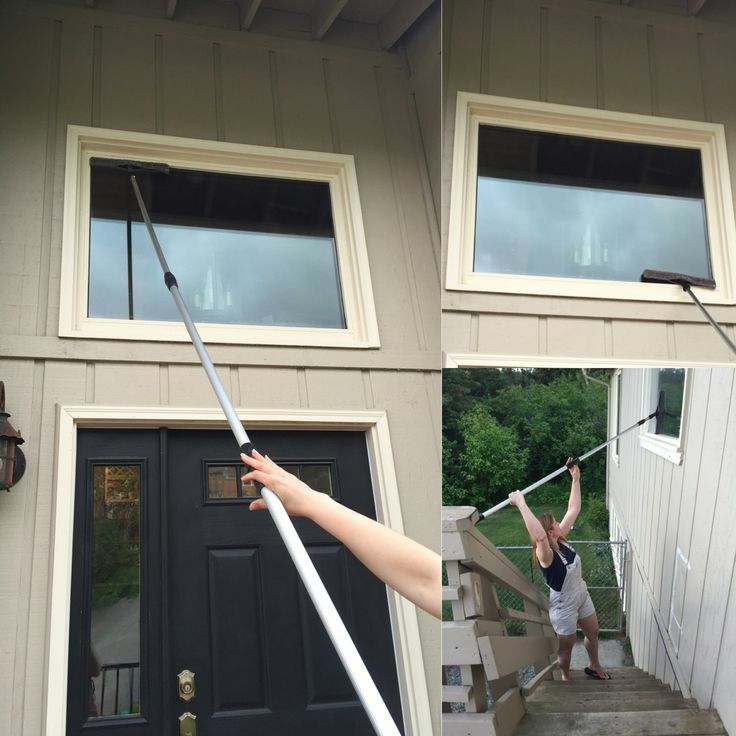 Window cleaning is not a difficult task if you have the right window cleaning tools. The tips here will make the process quick and easy for you. First step for window cleaning is starting preparation for window cleaning. If you have curtains, here is a way to prevent them from getting messed up while window cleaning. Without taking them off the rod, arrange each panel on a hanger, and then hang the hanger on the curtain rod. 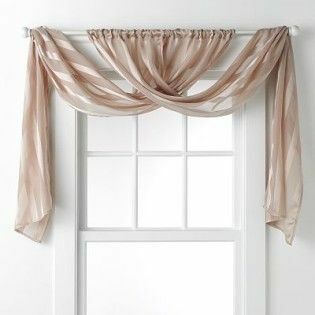 The right side of the curtain should be hung on the right side of the curtain rod, and to the left side of the curtain should be hung on the left side of the curtain rod. Note: First you check for any cracks or gaps in the window frame. If there are old caulks you need caulking of window. Refer what is window caulking. After basic preparation clean the window dust with microfiber cloth or any cotton cloth. The best way to clean windows is to make your own window cleaner (1 cup distilled white vinegar + 3 cup warm water or water + detergent) for window washing. You can read our previews article for best homemade window cleaner for window cleaning. Use a spray bottle for sprinkling window cleaner. Then, dip a scrunched up piece of plain newspaper into the mixture, squeeze it until it stops dripping, then use it to clean the window. You can also dip scrubber in a bucket of homemade window cleaner for window washing. Note: Wear rubber gloves while window cleaning so the newspaper doesn’t stick to your hand and also protect hand from any skin allergies. You can wipe windows using newspaper or chamois leather. Chamois leather and microfiber cloth is the best choice for window cleaning. Wipe wash window with crumpled newspaper. This is cheap alternative instead of chamois leather because chamois leather is very costly. You can also use a squeegee or microfiber cloths or dry coffee filters or a clean blackboard eraser or scrubber or sponges for window cleaning. They are available at supermarkets and hardware stores. You can also use a microfiber cloth or any clean cotton cloth for wiping window. When you wipe windows, clean up and down on the inside, and from side to side on the outside. If you see a streak that you want to wipe away, you will know which side it’s on. Note: You can clean corners with a cotton swab. Be careful when you clean wooden areas and avoid spraying too much homemade window cleaner at once. When you clean window, make sure to clean window frame and sills. The window track on which your window slides get covered with dust, grime and other debris making your windows to open and close less smoothly. Remove dirt from the window tracks using a nylon brush or old toothbrush. Then wipe the tracks with microfiber cloths. Lastly wipe the entire track with a dry clean cloth or paper towel. In a country likes India, you need the vacuum cleaner to remove dust. For cleaning of window sill and frames, use non-abrasive window cleaner and a soft clean cloth. For wooden window frames you will need to extra care to make sure you don’t damage the wooden or painted surfaces. For aluminium window frame aluminium part will require a solvent cleaner to keep them from rusting and deteriorating. You can wash window sill and frame with warm soapy water. Sprinkle this mixture on the window sill and frame then wash with sponges or wet soft cloth. Always make sure you wipe window sill and frame dry with a soft cloth after you wash them. These are the simple steps for window cleaning. Next Question that arise is How to Clean High Windows? If your windows that need cleaning are too high for you to reach, get a “water gun” and a “long-handled squeegee”. You can fill the water gun with a best homemade window cleaner and spray it on the window pane, then squeegee it off. It is a safe method instead of climbing on a stool or ladder. For window cleaning weather is very important. You can wash a window or clean the window on cloudy days so that they will dry more slowly and giving you more time to wipe them when they are damp, and when every fingerprint and mark will show up! If you clean windows on a bright, sunny day, they will quickly dry leaving those smeary or dirty marks. Note: Here we have given you general tips for window cleaning. For high rise building cleaning steps are different, or you may need window cleaning services or window cleaning companies for window cleaning because in high rise building it is a very difficult task, and you will need safer process. Window cleaning thus is necessary to create a healthy and hygienic environment in the house. It is protecting your windows from dirt, debris that improves the quality of your home and extends the life of the window. Clean windows will allow sunlight to penetrate into the home and make more appealing of interior and exterior of your home. Window cleaning thus though not difficult, but you equally need to take safety precaution.